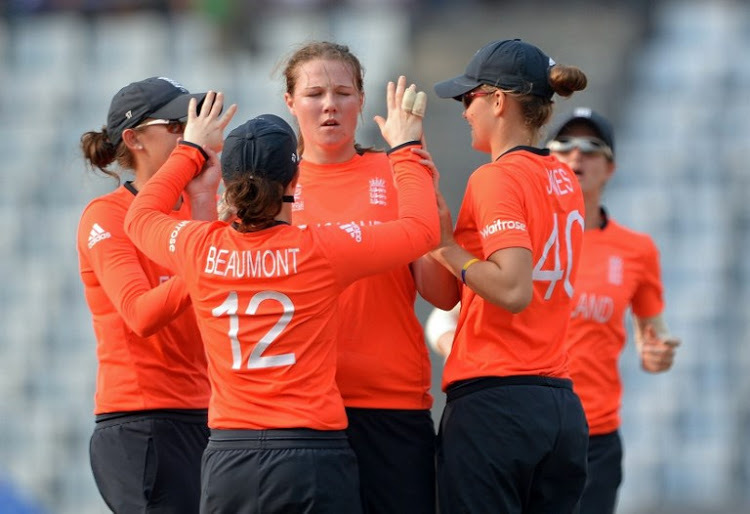 Are England Women the most powerful side in the Women's World T20? India are already in the semis. Australia will soon be. With South Africa knocked out, badly choked for runs, England have sent out a clear signal. They can’t be taken lightly. At present, they read something like a disclaimer to most other teams vying for the top spot: the World T20 2018 crown. Even some top class professionals still around the Women’s World T20, 2018, can’t read them. Much before they take the field for contesting in what would be only their third game on the West Indian islands, they’ve made lambs out of lions, like van Niekerk’s South Africans. They just couldn’t get their bat to the ball, it was that bad. Earlier, Bangladesh Women didn’t know what to expect out of England. Two in two means, England hold the upper edge. And if you were to think that despite there being not one but three famous troikas around- Mithali, Harman, Mandhana, Lanning, Perry, Healy, and, Dottin, Matthews, and Taylor, England won’t seem troubled. They are the last team in the Caribbean who’ll buckle down under pressure. And it’s incredible to think of the kind of talent that they are currently missing out on. Have you thought about just who all are England Women without in the Caribbean? Truth be told, given the way Tammie Beaumont and Danielle Wyatt have conducted themselves with the bat, along with Natalie Sciver and Anya Shrubsole doing wonders with the ball, one can’t be blamed for not missing Katherine Brunt and Sarah Taylor. In fact, it must be asked whether, in front of their miserly and accurate bowling spells, Sciver and Shrubsole have allowed fans to miss out on Brunt’s lethal pace bowling? 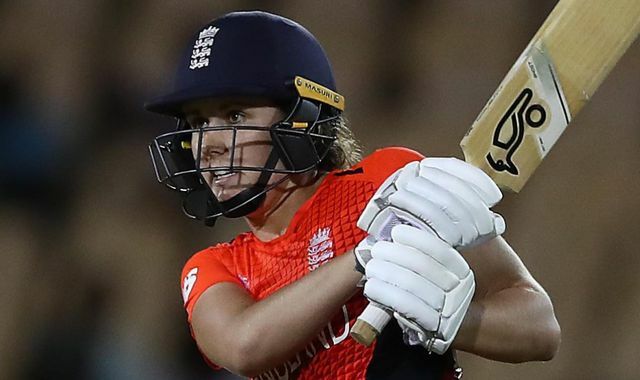 With the clean-hitting trio of Heather Knight, Danielle Wyatt, and Tammy Beaumont going as well as they are, are England Women really missing out on Taylor? Of course, it would’ve been wonderful to have had two proud and charismatic English daughters serving their country in the West Indies, in a tournament that tests both skill and resilience. But that they aren’t, doesn’t really cut a sorry figure for the English. Those missing in action might be chuffed up by what they would’ve seen until now. On a Gros Islet Friday that was about as indifferent to South Africa Women’s woes as is the fan, who to this day, cannot fathom De Villiers quitting the game before the World Cup, only to announce his readiness for T20s, the likes of Mignon, Tryon, Lee, all hung in there and failed. When was the last time you saw South Africa manage not even 90 on the board off 20 overs? Was this a top-notch side competing in a World Cup? Hey, maybe this was South Africa’s baptism by fire as panned out by Shrubsole and Sciver. Here’s what the dazzling bowlers have managed. In the game against the Proteas, the duo bowled nearly 8 overs, from which they’d concede just 15 runs. In addition to taking 6 wickets, that’s 3 a piece, they’d also ensure 12 of their 48 balls just wouldn’t be scored from. This, it must be reminded, wasn’t a Test match. And just when you are trying to wrap your brains around such a hefty stat-attack, you are struck by a lightning bolt. 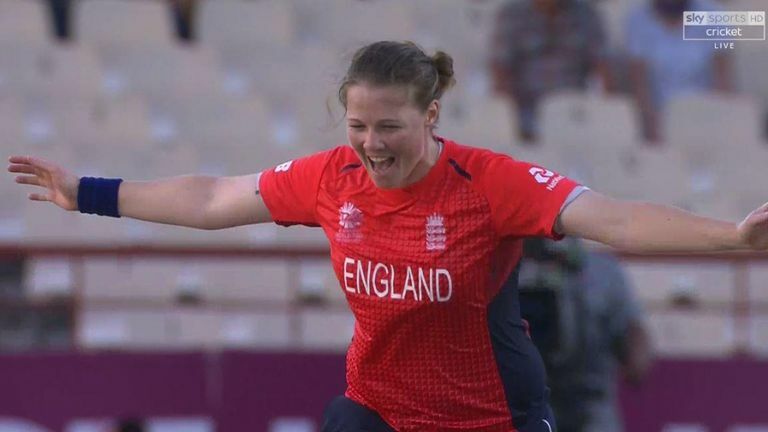 Anya Shrubsole has found a way to clinch a hat-trick. What ensues from the start of over number 19, is mayhem for a side that had lost 7 of its wickets with only 3 overs to play. All knocked out like falling ninepins on the bowling alley and England have toppled over South Africa. But just what happened in their previous game? On the same ground, in what was then only the third contest of the tournament, England restricted Bangladesh to a bitterly low 76. From that perspective, the miserly and clever bowlers would’ve felt that South Africa’s total of 85, requiring the batswomen barely above 4 an over was a poor show when in reality, it was anything but that. In enforcing a Bangladeshi capitulation, Kirstie Gordon, on her debut, emerged with a victorious 3-for. What was happening? The 21-year-old spinner would gnaw at Niekerk’s Proteas in taking a 2-for. At present, her economy is barely 4. This is T20 cricket. Her first World T20, of all things, let it be reminded. On the other hand, Wyatt, responsible for a quickfire 27 would want to open fire in the next inning and take the scoreline into being something of a skyscrapper, considering England bat first. In doing that, Beaumont, another batswoman who was able to score against South Africa having failed against Bangladesh would be keen to play a chief architect. But England’s rivals’ worries won’t just stop at that. They’d have to swallow the bitter pill that despite headlines seemingly belonging to the quarter of Shrubsole, Sciver, Wyatt, and Beaumont, there’s the irrepressible Heather Knight to face. What happens next? Hold on to your seats tightly. Put that popcorn in the microwave and gear up with some Earl Grey! PreviousTemperamental talent: Was Max Verstappen right in his behavior with Ocon?